The domestic diva is partnering with Canada's Canopy Growth Corp. to develop new products containing CBD, a compound derived from hemp and marijuana that doesn't cause a high. First, she said, will be a "sensible product for pets." No, you’re not smoking something. 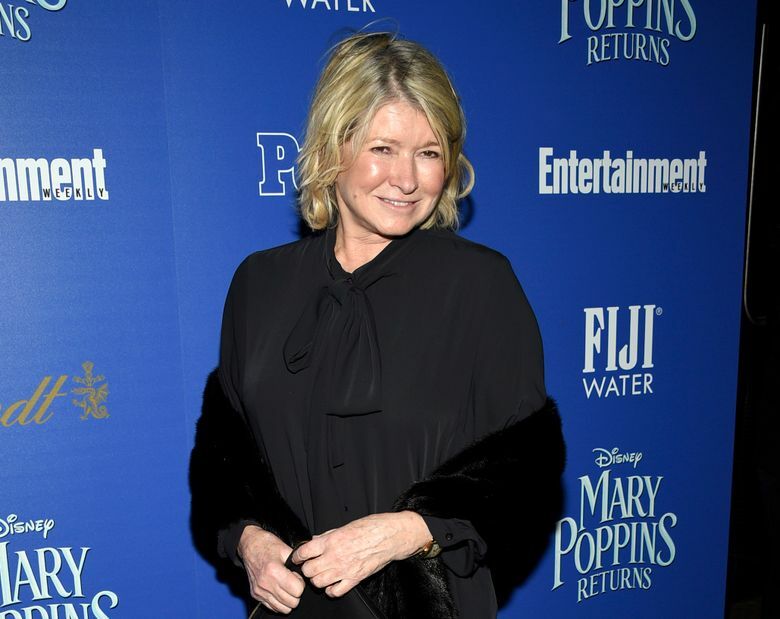 Martha Stewart has entered the fast-growing — but still legally murky — cannabis market. The domestic diva who brought us hemp yarn is now partnering with Canada’s Canopy Growth Corp. to develop new products containing CBD, a compound derived from hemp and marijuana that doesn’t cause a high. First to come, she said, will be a “sensible product for pets.” Neither Stewart nor Canopy Growth is saying if that would be a dog or cat treat, an infused pet food or some other product. They also aren’t saying when and where the products will go on sale, partly because they still face regulatory hurdles. Even Canada, which legalized marijuana last year, is still working out the rules for CBD-infusion in foods. Others are already in the pet space despite the FDA’s warnings. Earlier this week, Denver-based cannabis company Dixie Brands said its pet wellness brand, Therabis, will begin selling hemp-based CBD soft chews for cats in April. It has been selling dog treats since 2016. Stewart’s tie-up with Canopy may not be a surprise to her fans. 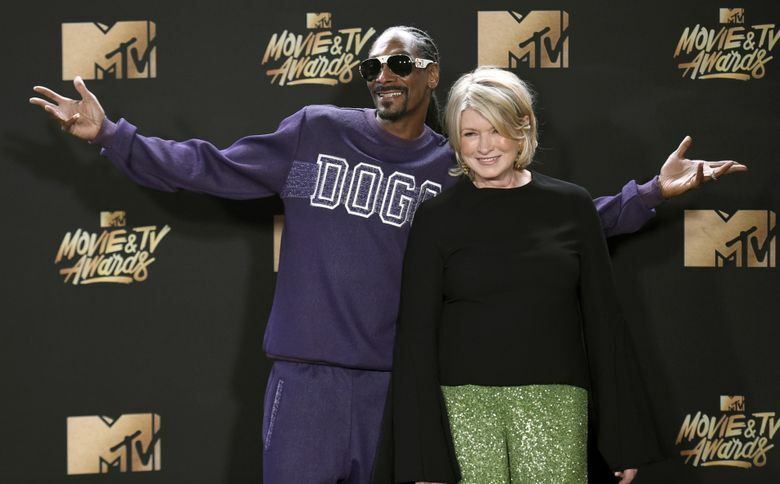 In 2015, she baked brownies on “The Martha Stewart Show” with marijuana aficionado Snoop Dogg, and hinted that Snoop could add a little weed if he wanted to. The next year, Stewart and Snoop began hosting the VH1 talk show “Martha and Snoop’s Potluck Dinner Party.” Marijuana is often part of the banter. When they made sushi with smoked eel, for example, Stewart noted that the smoker would seem familiar to Snoop. Bruce Linton, Canopy Growth’s founder, chairman and co-CEO, said the company has been producing Snoop’s Colorado-based Leafs by Snoop cannabis line — which includes THC-infused gummies and chocolate bars — for more than three years. Snoop has even performed on the company’s lawn in Smiths Falls, Ontario, Linton said. About six months ago, Linton said, Snoop’s office facilitated an introduction to Stewart, who visited Canopy Growth’s headquarters last fall. He said Stewart asked many questions and liked the company’s science-driven approach. “She had to be sure we were competent because her reputation is of great value,” Linton told The Associated Press. Stewart was unavailable for comment Thursday, according to a spokeswoman for Sequential Brands Group, Inc., which licenses Stewart’s products. Sequential Brand’s shares jumped 40 percent to close at $1.68 on the NASDAQ stock exchange Thursday. Canopy’s were up nearly 4 percent to close at $47.41 on the New York Stock Exchange. Linton said Stewart lends important credibility to the company as it helps pave the path to legal cannabis globally. It’s not yet clear how her name will be used. Rules on celebrity endorsements and branding differ between Canada and the U.S., Linton said. Kelly O’Keefe, a marketing professor at Virginia Commonwealth University’s Brandcenter, said there’s not much risk to Stewart. If her reputation was going to take a blow, it would have happened when she partnered with Snoop Dogg. Instead, he said, that partnership has helped her look more youthful, relaxed and connected. “She’s already taken a walk on the wild side,” he said. Stewart could also help Canopy Growth and the larger cannabis industry reach new audiences, says Giadha Aguirre de Carcer, the CEO of New Frontier Data, a cannabis research firm. In a study last fall, New Frontier found that the fastest-growing group of cannabis users is older females whose kids are grown, not the tie-dyed hippies of old. They want brands they can trust with nice packaging — which is Stewart’s expertise.